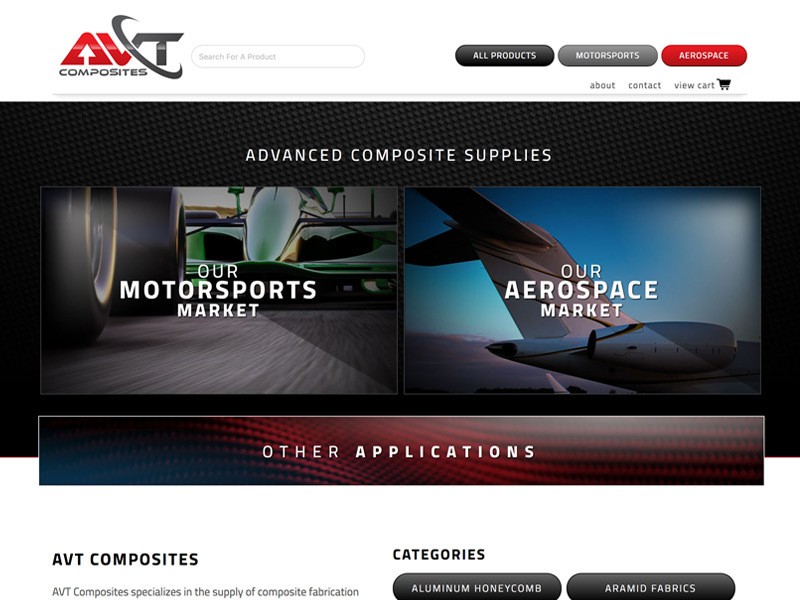 AVT Composites provides advanced composite fabrication materials to both the motorsports and aerospace industries. 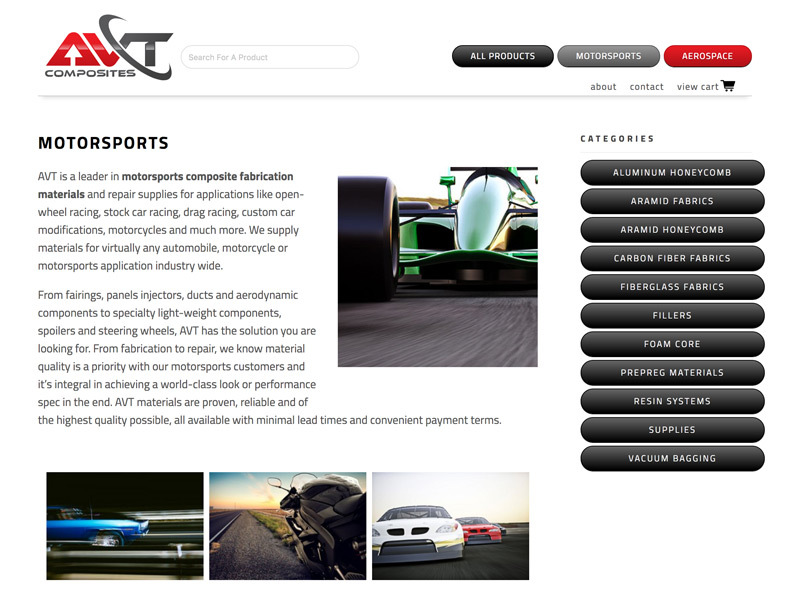 Another clean sheet design in which we needed to update the look and the technology behind their ecommerce site. 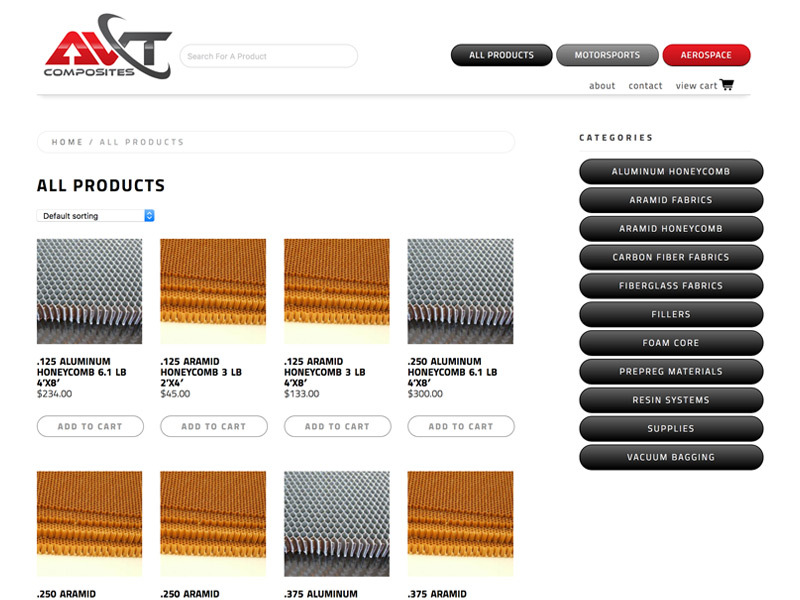 Home page welcomes both markets with an easy to navigate interface and simplified retail elements.